The 23,400 sq ft Meyer Road site on which The Albracca condominium currently stands has been sold for close to $70 million, almost a good $8 million more than the expected $62 million the owners were hoping for. The winning bid came from Sustained Land and soon too considering the tender only opened last month. Bids came from more than 12 parties, including developers, contractors and even a fund manager. 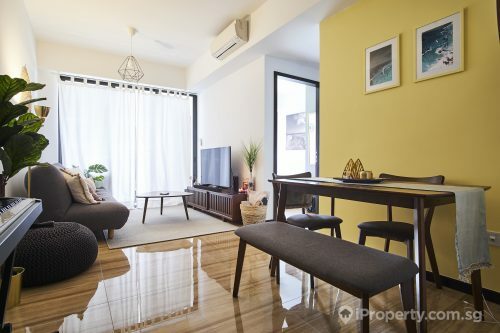 The freehold development is situated in Tanjong Rhu near the upcoming Katong Park MRT station and in an area that is popular with young professionals and expatriates. Apartment units at The Albracca range between 1,658 to 3,972 sq ft and each owner stands to receive between approximately $4 million to $7 million. Based on the selling price, the price per plot ratio inclusive of development charges works out to be about $1,409 psf. 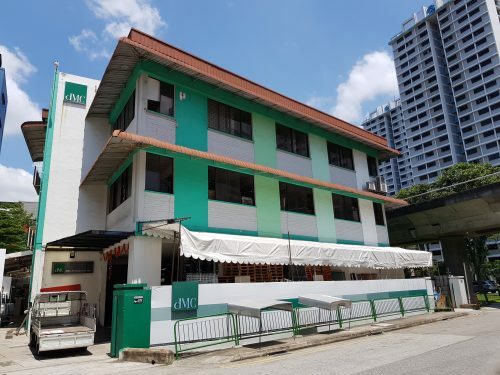 The site has an allowable gross plot ratio of 2.1 and could potentially yield 65 apartments sized at an average of 750 sq ft.
As the list of successful en bloc deals continues to grow this year, the total value has already reaching $1.58 billion, more than the $1 billion for the total of 3 such deals closed last year. As developers’ confidence in a recovering real estate market solidifies plus their continued need to replenish land banks in preparation for the decade ahead, more attempts at land bids may occur in the later half of this year. 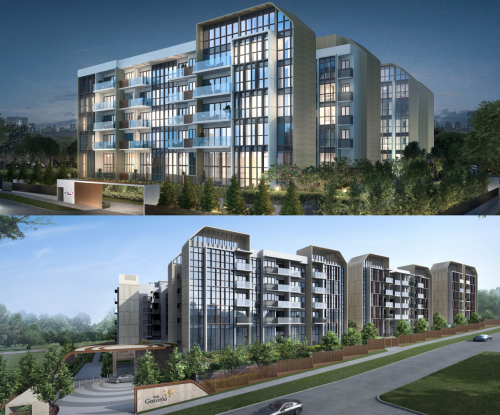 Previewed over the weekend and to be launched on Aug 5, is a mixed-use development in Bukit Batok West. The 99-year leasehold Le Quest consists of five 12-storey residential blocks and more than 6,000 sq m of retail space on the ground floor. Things seem to have gotten off on a good start as 30% of the commercial space has already been leased and as the inaugural mixed-use development in the area, it will no doubt set the tone for future similar projects in the vicinity. Despite this being the first mall to be managed by the project’s developer, Qingjian Realty, they are confident about the take-up of units as they are going for a younger, hipster and contemporary theme with 40% of the space allocated for food and beverage outlets. On the mainstream front, FairPrice Finest has already taken up 1,200 sq m and Koufu food court will take up another 500 sq m.
The project is expected to reach completion by the end of 2021 and the 516 residential units will feature smart home technologies. Units available will range from studio apartments to four-bedders. Prices for studio apartments are expected to start from $588,000, one-bedders from $648,000 and four-bedroom units will be priced from $1.38 million. Le Quest is Qingjian Realty’s last launch for 2017 and they are targeting sales of 150 apartments at its August launch. Over the weekend, all 531 units of the Hundred Palms Residences executive condominium (EC) in Hougang were sold. In a day. The all-around positive real estate market sentiments have been felt intensely over the weekend past. Turnout at the showflat were quite literally overwhelming, with the premises filled to the brim and spilling out into the sidewalks. Over at the Le Quest mixed-used project in Bukit Batok developed by Qinjian Realty, interest was also strong. The popularity of the Hundred Palms Residences could be due to its prime location, as it is situated in the mature estate of Hougang and within the 1km radius of the Rosyth School. The average selling price was $836 psf. In comparison with the same period last year, private home and EC sales has almost doubled. 2,064 ECs were sold in H1 of this year, compared to the 1,867 in the same time period last year. Most of the buyers at the Hundred Palms Residences EC were residents of neighbouring estates such as Hougang, Serangoon, Sengkang and Punggol. It gives an indication of the buying power of young families and professionals and hints at the likelihood of similar response levels for upcoming launches. While property analysts are not yet certain that buyers’ interest in recent months translate to a market recovery, it is nevertheless a step in the right direction. Resale prices of private homes have inched up slightly but the rental market has remained dull. It waits to be seen if property cooling measures will be lifted as that could potentially mean more business for the property market. The latest condominium to climb on the en bloc bandwagon is the Villa D’Este on Dalvey Road in prime district 10. The freehold site currently holds 12 apartment units ranging from 3,456 sq ft to 3,949 sq ft and 10 owners have already agreed to putting the site up for sale. And the asking price? $96 million. The pros for this site is that there are no development charges and with the $96 million price tag it comes with, that works out to be about $1,730 psf for the 55,480 sq ft land site. Land acquisition moves by developers have been aggressive this year and quite a few collective sales efforts have come to fruition and more mature residential establishments are feeling confident about putting themselves out there. 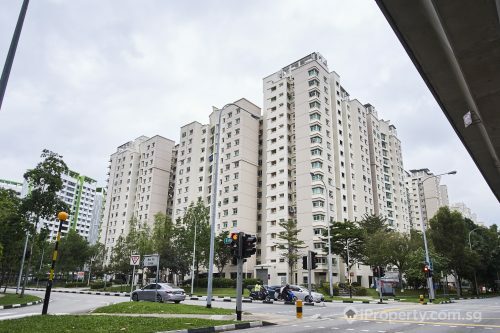 Other properties which have started their en bloc sales process recently are The Albracca, Serangoon Ville and Tampines Court with the latter 2 being former HUDCs. The Villa D’Este is a private property with relatively few units on site, which could mean each owner getting $7.5 to $8 million from the sale. And its location would attract developers since it is rare to find a site so close to a Good Class Bungalow (GCB) area. This could translate to promising sales of projects eventually launched here as the area is popular with expatriates and also provides the exclusivity of ambience and address. Other private land plots which were sold this year included One Tree Hill Gardens, Goh & Goh Building, Rio Casa and Eunosville. The Dalvey Road site holds the potential to yield 1 to 3 GCBs or 24 new apartment units sized approximately at 2,000 sq ft. There was a previous collective sale attempt in 2015 for $115 million. As Japan gradually realises the need for foreign additions to their workforce, the number of expatriates working in Japan has reached the 1 million mark. But it is not an easy task for foreigners seeking temporary housing in Japan. And this is where foreign property companies come in. With a $4 million in investment monies from Japanese e-commerce firm Rakuten, a Singapore startup, MetroResidences, has launched in Tokyo. It links up property owners in Japan with tenants seeking medium- to long-stays. Currently, home-sharing sites such as Airbnb cap the number of days of rental at 180 per year based on rules in Japan. MetroResidences started in Singapore in 2014 and currently has listings in Minato and Shibuya wards, areas popular with expatriates. The company prides themselves in offering quality properties with good value for money. In Singapore, they have over 400 listings and an average occupancy rate of 85%. In Japan, where most of the foreign-housing are facilitated by serviced apartment agencies such as Fraser and Ascott, MetroResidences aims to provide a one-stop platform for furnished apartments suitable for junior to mid-level executives. With the Tokyo 2020 Olympics in sight and Tokyo Governor Yuriko Koike’s vision for Tokyo to be a financial centre, property rental market’s potential seems promising. How would this increase in demand for rental properties affect property investment in Japan. Are there now more possibilities for investors and will this increase the ease of buying properties in Japan?